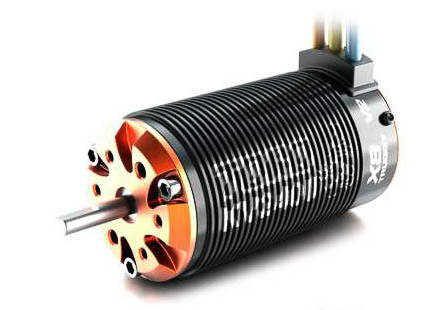 These Motors are especially designed for the 1/8 Brushless Buggy/Truggy Class. They meet all specs that are required to generate a maximum performance. 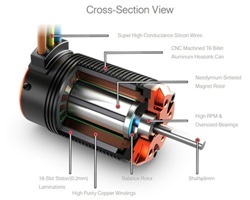 The 4-Pole Rotor with Neodymium sintered magnets are giving a perfect power offering during the whole RPM range. The 12 Slot Hi-Torque Strator is supplying a fantastic torque. The rotor can get replaced very easy if needed. and helps to cool down the engine during the race.